Want to see all the technologies used by bristol.ac.uk? 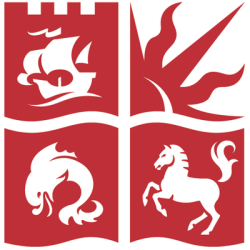 The University of Bristol is a red brick research university that offers a range of educational courses and services. The university is organized into six academic facilities: Faculty of Arts, Faculty of Engineering, Faculty of Medical and Veterinary Sciences, Faculty of Science, Faculty of Medicine and Dentistry, and Faculty of Social Sciences and Law. These faculties together award a range of academic degrees spanning bachelor's and master's degrees as well as junior doctorates and higher doctorates. University of Bristol was established in 1876 and is based in Bristol, United Kingdom. For a quick look at additional technographic info on bristol.ac.uk or any domain on the web, download our Chrome Extension. Check out our help article to see how Datanyze Insider can help you.